The Karnataka Cabinet of ministers has cleared Phase II of Bengaluru's Namma Metro project, which will have four extensions and two new lines running across 72.1 km. The project will now have to get the approval of the Centre. After the Cabinet meeting, the State Higher Education Minister VS Acharya said that the detailed project report (DPR) estimates the cost at Rs 27,000 crore. The project would be completed by 2017. 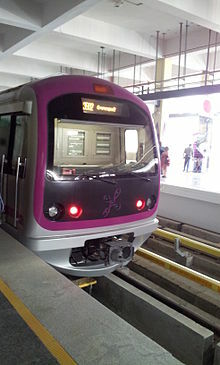 Under Phase II, Bangalore Metro Rail Corporation Limited (BMRCL) intends to extend the reach of routes under Phase I.